When preparing these lesson helps we follow the lesson outline closely. We will never vary from the doctrine taught in the lesson outline. It is important that you always read through the lesson and all of the suggested scriptures. Then read through the helps we have provided and pray about which activities will be the most beneficial to your class. As always follow the guidance of the Spirit. The thing I love most about the Come, Follow Me format is that it is designed for the kids to take an active role in their learning. We have designed our lesson helps to help facilitate a lesson full of thought and discussion. In your preparation be sure to leave time for the kids to share ideas, questions, and experiences! 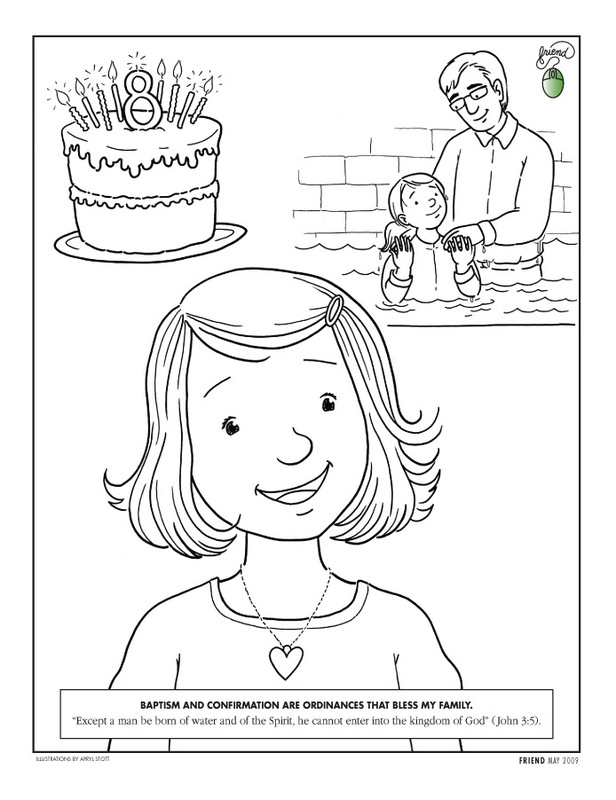 We have lesson packets for Younger Children and Older Children. Our Older Children lessons on on our Valiants page. 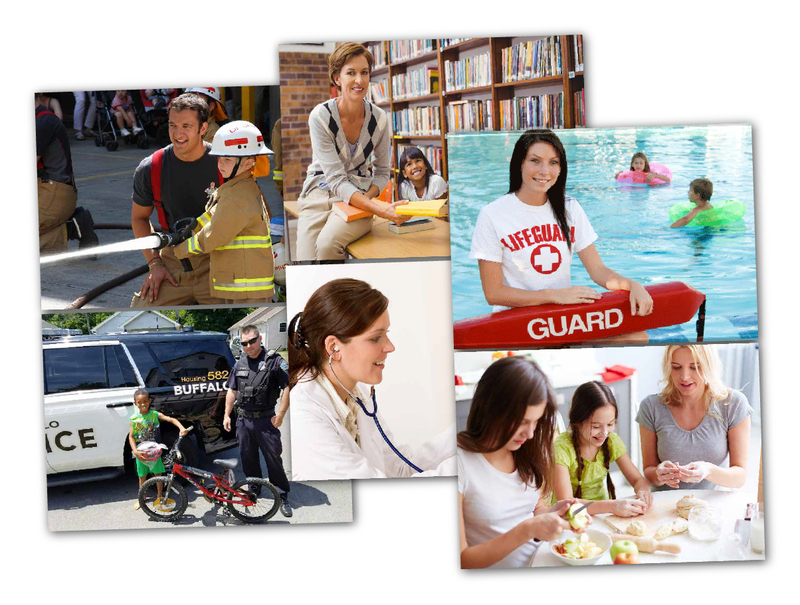 Depending on your class, you can choose which activities to use. Some classes will have a few children that can read and you may find they like a worksheet or activity from the Older Children lesson. Your subscription includes both packets so use whatever you need! You will only have 20 minutes to teach, so choose which part of the scriptures you'd like to teach and use the activities below to help you. 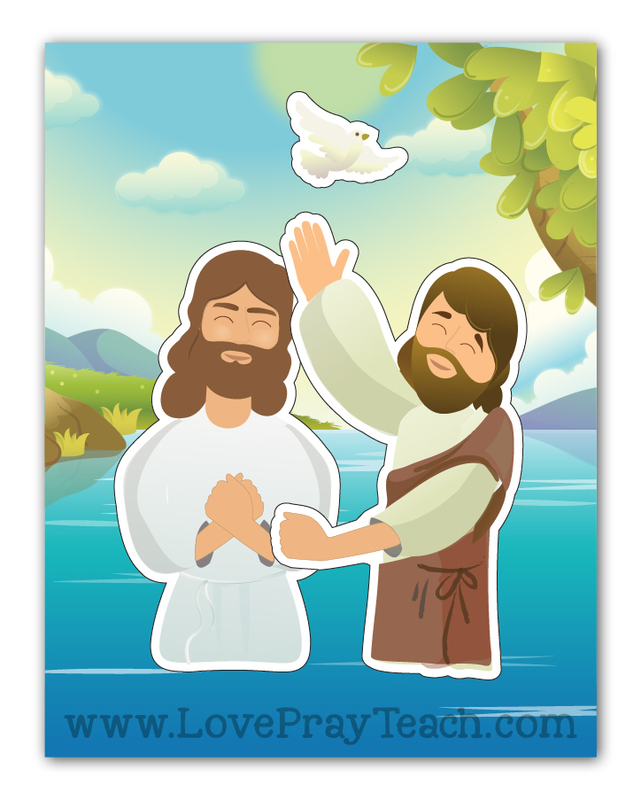 Use these cutouts to help the kids visualize Jesus' Baptism while you tell them the story of his baptism. Tape the steps under random chairs. Tell the kids to look under their chairs and check for a word strip. Ask each child with a word strip to come to the front of the room. Discuss each one and place them on the board creating a staircase to the picture of Jesus being baptized. Ghost to comfort them and help them. 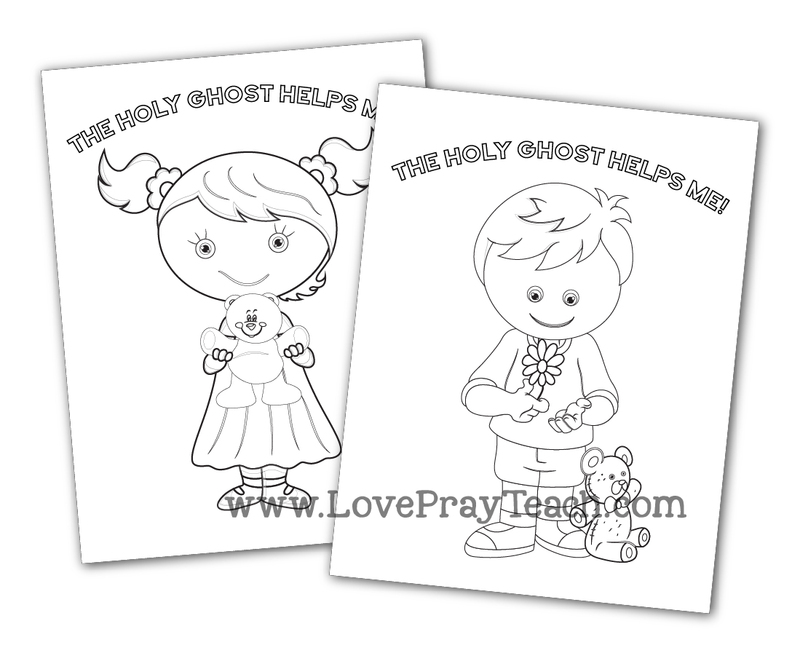 The Holy Ghost is Jesus' helper! 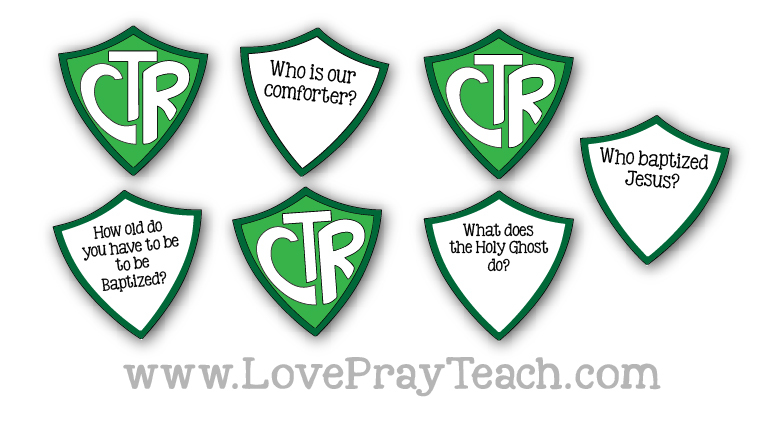 Print these question cards front to back, with a CTR on the front and a question on the back. Hang up the cards on the board with the CTR facing out. Play a game to choose a child to pick a card. A fun game would be spin the bottle! Have the children sit in a circle and take turns spinning a bottle in the middle. Whoever the bottle lands on, have them pick a question card. Continue playing until every child has had a turn. 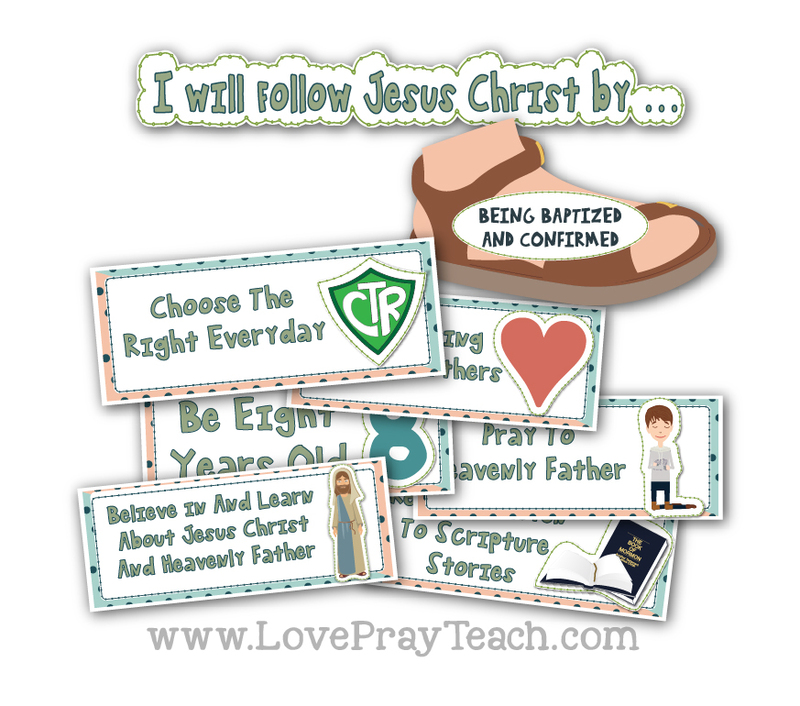 Give each child one of the handout's below as they leave the classroom. We will be including these each week so use them however you'd like! You can have the children bring them back to class each Sunday or give them to their parents for a fun activity during family scripture time that week! There is also a full page handout included if you'd like to make them into a journal folder for the children. 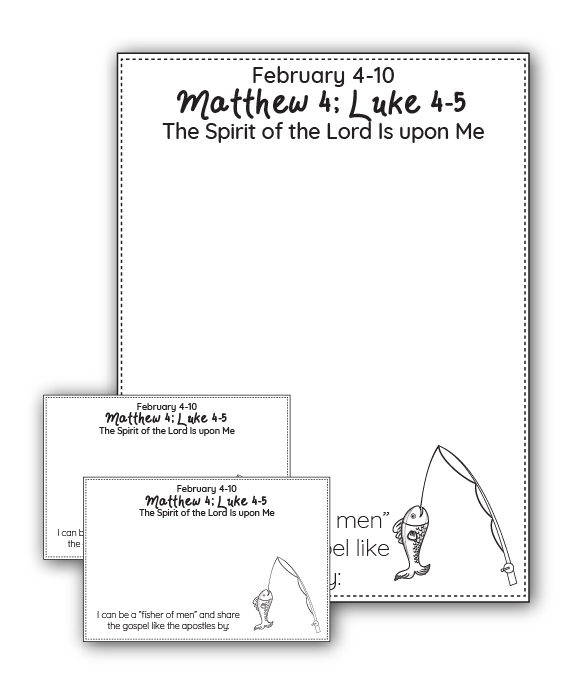 Home & Family Printable Lesson Packet for February Week 1 "Come, Follow Me for Families and Individuals--New Testament 2019" January 28-February 3 - Matthew 3; Mark 1; Luke 3 "Prepare Ye the Way of the Lord"